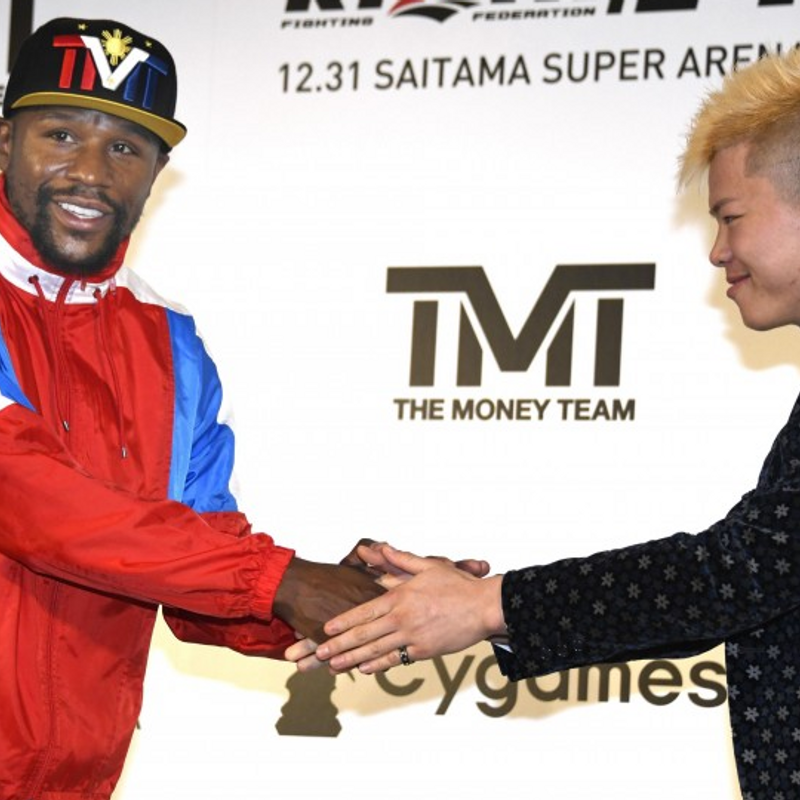 TOKYO - Veteran boxing superstar Floyd Mayweather will fight 20-year-old Japanese kickboxer Tenshin Nasukawa in a Rizin Fighting Federation bout on New Year's Eve, the mixed martial arts organization announced Monday. The fight between the once retired 41-year-old Mayweather, who held world titles in five different weight classes and has a 50-0 pro boxing record, and undefeated Nasukawa will take place at the Saitama Super Arena on Dec. 31. "I think that he's young, very strong, very fast, and he's undefeated so it's obvious he's been doing something right to be where he's at," Mayweather said at a press conference. Mayweather had indicated his interest to compete in an MMA event since beating former Ultimate Fighting Championship belt holder Conor McGregor in a one-fight comeback boxing bout in August last year. "This particular bout is a special bout, since we're giving people something they've never seen before. The world has never seen Mayweather compete live in Tokyo," Mayweather said. "I'm going to bring a lot of excitement, and that's really what the people want to see." Before turning pro, Mayweather won a bronze medal in the featherweight division at the 1996 Summer Olympics in Atlanta. He held world titles in 20 of his 22 professional years. Nasukawa is undefeated in both kickboxing and MMA, and has a 27-0 record as a professional kickboxer with 21 wins by knockout. "Whatever the rules are that's fine with me," Nasukawa said. "I'm thrilled that this event, the greatest in my life, is becoming a reality. It's a chance for me to make a name for myself." The purse, fight format and weight category for the Nasukawa-Mayweather bout, among other details, are yet to be made known.